Easy wins with this cheesy spinach pasta! 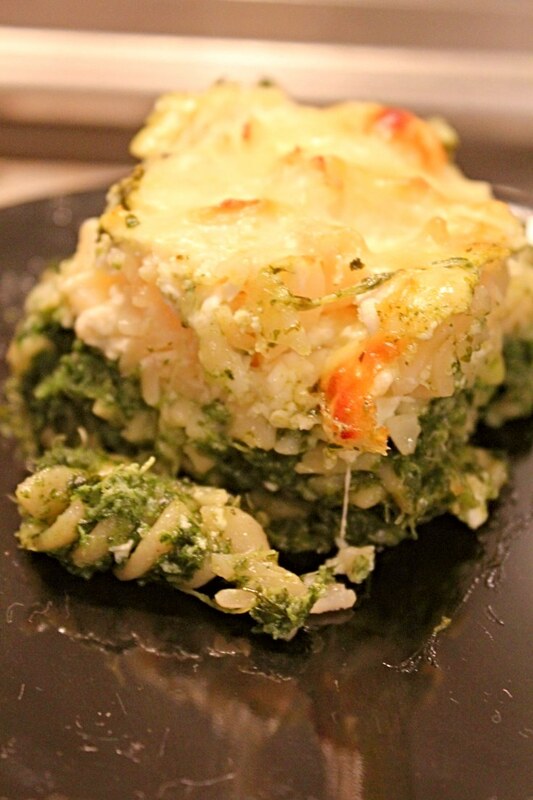 Quick dishes like this spinach pasta bake are perfect for when you’re tired and hungry! This finger-licking good spinach pasta recipe helps make dinner time faster, easier, and more enjoyable for you and your family! 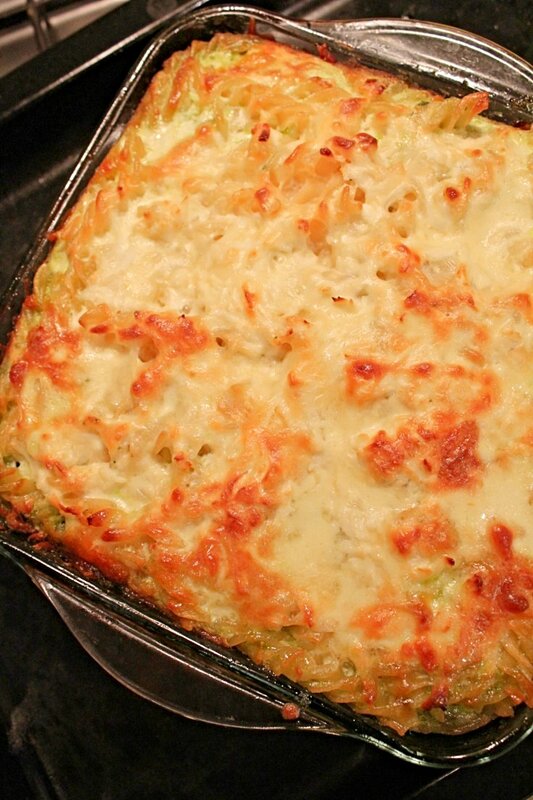 If you were looking for the easiest and most delicious spinach pasta casserole, you’re in the right place! This spinach pasta bake is probably one of the quickest dinner idea you’ve ever made and it’s so delicious, filling, nutritious and satisfying, you’ll want to make this recipe often! 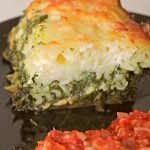 You only need 3 ingredients to make this amazing spinach pasta bake and it’s the perfect meal for when you don’t have anything planned or you’re too busy to make a more elaborated recipe. 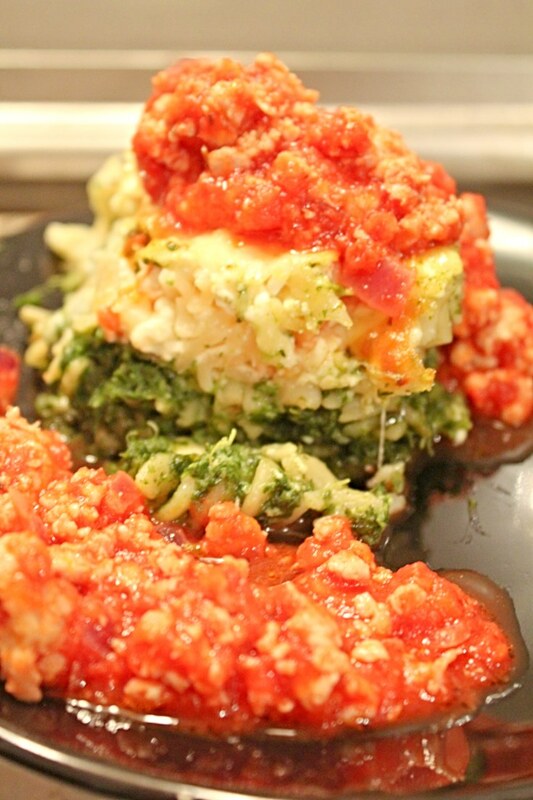 This spinach pasta bake is simple, fresh and pretty healthy so who wouldn’t love such a recipe? Not to mention it’s easily adaptable to your favorite ingredients! Not a fan of spinach? Swap it with your favorite vegetable! Don’t have any fusilli pasta in your pantry? No stress, any other pasta would work just as great! We used mozzarella as well as fresh cheese but feel free to use your favorite cheeses. 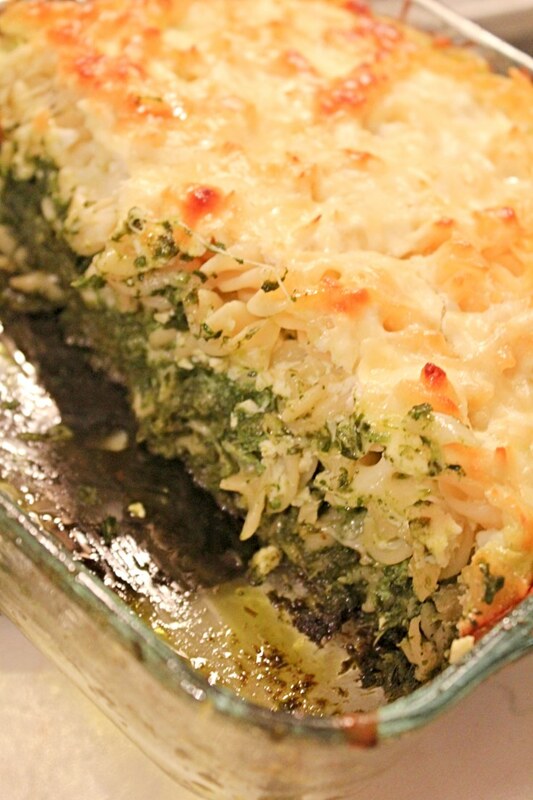 We used fresh spinach to make out baked pasta with spinach but if you use frozen spinach that’s a good option too. We wanted to make this dish as healthy as possible and eat it without any guilt so we didn’t make this recipe creamy but if creamy pasta is your thing feel free to add some heavy cream to the casserole before baking. Serve this spinach pasta casserole with a generous green side salad for a filling, healthy dinner that everyone will enjoy! We decided to pair this vegetarian pasta with this chicken sauce recipe in an attempt to keep the meat lovers of our family happy too! While the pasta cooks, prepare the spinach. In a medium saucepan bring 4 cups water to a boil and add the washed spinach. Add the spinach puree and saute for 5 minutes, stirring occasionally. When the pasta is ready, drain the pasta and discard the water.